A little flounce goes a long way. 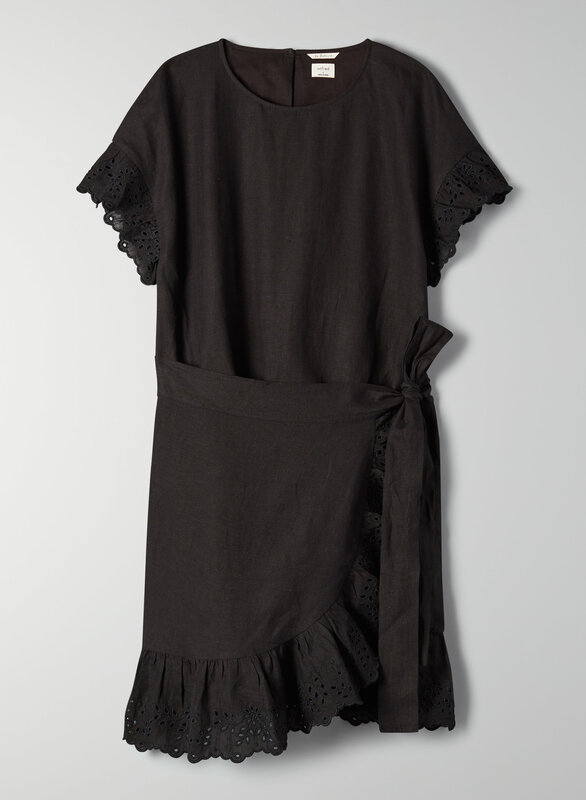 This is a short dress with a wide scoop neckline and ruffle details at sleeve cuffs and along the hem. It's made with a softly structured linen that doesn't cling.